You know your dream of having your book published is getting real when a book store agrees to hold your launch party. 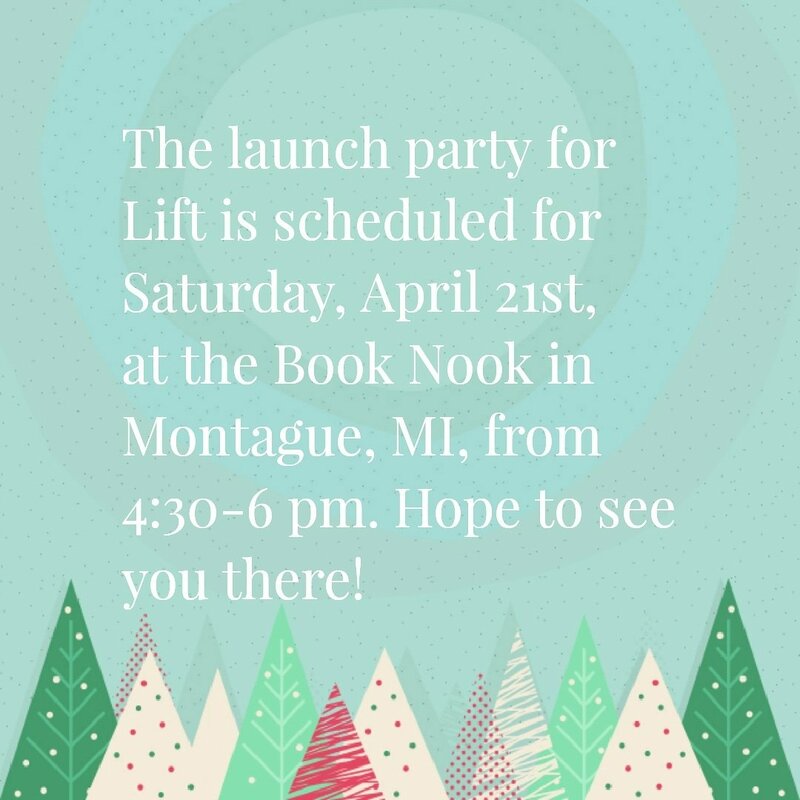 The Book Nook & Java Shop in Montague, MI, has graciously agreed to host Lift’s party, and I couldn’t be happier! I’m already working on giveaways and promotional items for it. I hope to see you there on April 21st.